Once you've forwarded your domain, you may wish to make changes, choose a different forwarding location, or delete forwarding altogether. 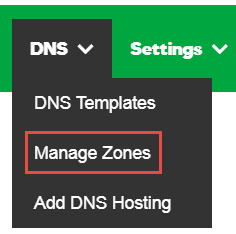 On the DNS Management page, under the Forwarding section, click the (pencil icon) next to Domain or Subdomain to update, edit, or delete. Set up your domain name with a website at GoDaddy rather than forwarding it.